Benjamin Ludwig is the author of Ginny Moon, which was an Indie Next and Library Reads pick, a Barnes and Noble Discover Great New Writers selection, and one of Amazon.com’s 20 Best Books of 2017. It received starred reviews from Publisher’s Weekly, Library Journal, BookPage, and Booklist. His novella, Sourdough, was the recipient of the 2013 Clay Reynolds Prize for the Novella. 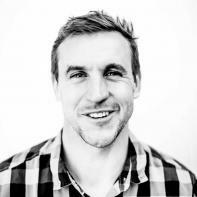 A former English teacher and new-teacher mentor, he holds an MAT in English education and an MFA in creative writing. He and his family live in New Hampshire. 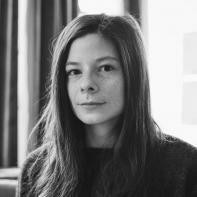 Camille Bordas is the author of two novels in French, Les treize desserts and Partie commune, published by Gallimard. How To Behave in a Crowd is her first novel written in English. She is a graduate of the Sorbonne University in Paris and holds a master’s in anthropology from the School for Advanced Studies in the Social Sciences, also in Paris. At twenty-nine years old, Bordas recently published her first story in The New Yorker. 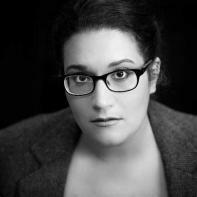 Carmen Maria Machado's debut short story collection, Her Body and Other Parties, was a finalist for the National Book Award, the Kirkus Prize, the PEN/Robert W. Bingham Prize for Debut Fiction, and the National Book Critics Circle's John Leonard Prize, and the winner of the Bard Fiction Prize. She is a fiction writer, critic, and essayist whose work has appeared in the New Yorker, Granta, Tin House, Guernica, Gulf Coast, NPR, and elsewhere. Her memoir House in Indiana is forthcoming in 2019 from Graywolf Press. Claire Fuller gained a degree in sculpture from Winchester School of Art, but went on to have a long career in marketing and didn't start writing until she was forty. Her debut novel, Our Endless Numbered Days, won the 2015 Desmond Elliott Prize. She has an MA in Creative and Critical Writing from the University of Winchester and lives in Hampshire, England with her husband and two children. Her second book, Swimming Lessons, was published in 2017 by Tin House Books. Emily Ruskovich grew up in the Idaho Panhandle on Hoodoo Mountain. Her fiction has appeared in Zoetrope, One Story, and The Virginia Quarterly Review. 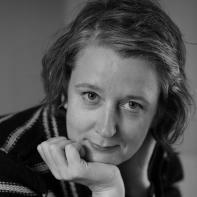 She is a winner of a 2015 O. Henry Award and a graduate of the Iowa Writers' Workshop. She currently teaches creative writing at Boise State University and lives in Idaho City. Idaho is her first novel. Fernando Pérez is from Los Angeles, CA. 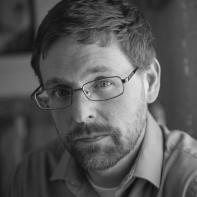 His first collection of poems, A Song of Dismantling, is published by The University of New Mexico Press. 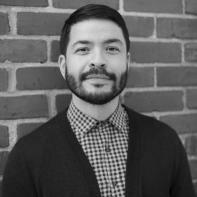 Fernando holds an MFA in poetry from Arizona State University and currently lives in Seattle, WA where he is an Assistant Professor of English at Bellevue College. His poetry has appeared in several journals, including The Suburban Review, Puerto Del Sol, Crab Orchard Review, and The Volta. His second collection of poems was a 2018 finalist for the Letras Latinas / Red Hen Poetry Prize. 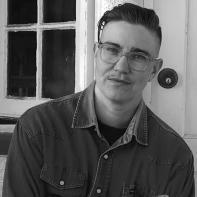 Jess Arndt received her MFA at Bard and was a 2013 Graywolf SLS Fellow and 2010 Fiction Fellow at the New York Foundation of the Arts. She has written for Fence, BOMB, Aufgabe, and the art journal Parkett, among others. She is a co-founder of New Herring Press, and lives in Los Angeles. 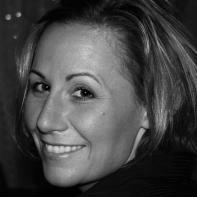 Lisa Duffy is the author of The Salt House. 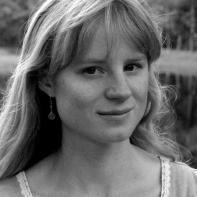 She received her MFA in creative writing from the University of Massachusetts Boston. Her short fiction was nominated for a Pushcart Prize and her work can be found or is forthcoming in Writer’s Digest, The Drum Literary Magazine, So to Speak, Breakwater Review, Let the Bucket Down, and elsewhere. Lisa is the founding editor of ROAR, a literary magazine supporting women in the arts. She lives in the Boston area with her husband and three children and currently leads a fiction workshop through 24PearlStreet, the online component of The Fine Arts Work Center in Provincetown. 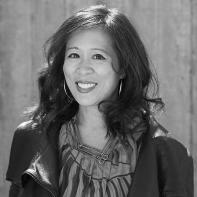 Lisa Ko is the author of The Leavers, a novel which was a finalist for the 2017 National Book Award for Fiction and won the 2016 PEN/Bellwether Prize for Socially Engaged Fiction. Her writing has appeared in Best American Short Stories 2016, The New York Times, BuzzFeed, O. Magazine, and elsewhere. She has been awarded fellowships from the New York Foundation for the Arts, the Lower Manhattan Cultural Council, and the MacDowell Colony, among others. Born in Queens and raised in Jersey, she lives in Brooklyn. 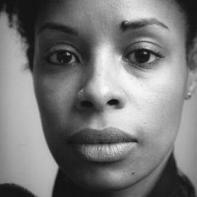 Nicole Sealey is the author of Ordinary Beast, finalist for the 2018 PEN Open Book Award, and The Animal After Whom Other Animals Are Named, winner of the 2015 Drinking Gourd Chapbook Poetry Prize. Her other honors include a Jerome Foundation Travel and Study Grant, an Elizabeth George Foundation Grant, the Stanley Kunitz Memorial Prize from The American Poetry Review, a Daniel Varoujan Award and the Poetry International Prize. Her work has appeared in The New Yorker, The New York Times and elsewhere. She is the executive director at Cave Canem Foundation and the 2018-2019 Doris Lippman Visiting Poet at The City College of New York.